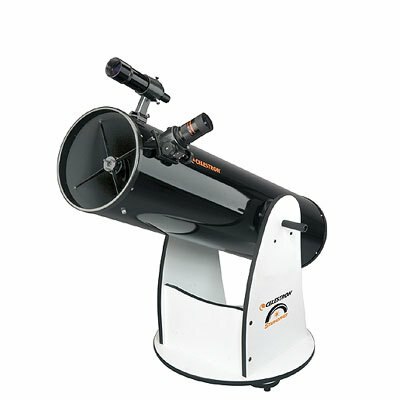 I am often asked by people “I’m a beginner, so what telescope should I buy?” Or more often, what GoTo telescope would I recommend for someone starting out in astronomy? When venturing out and buying your first telescope, there are a number of factors to consider, but because of glossy advertising and our current digital age, the first telescope that people think of is a GoTo. Do you really need a GoTo or would a manual telescope suffice? In order to make a good decision on what telescope to buy, you need to decide on what you want to use the telescope for — observing, photography, or both and does it need to be portable or not? This will help you make the best decision for the mount of your telescope. G oTo telescopes are usually advertised as being fully automatic and once they have set themselves up, or are set up by the user, they can access and track and many thousands of stars or objects with just a simple touch of a button. These features have made GoTo scopes are very desirable with many astrophotographers. Manual telescopes are not automatic or driven by motors as GoTo scopes are. They are predominantly used for observing (using your eyes instead of a camera) and the scope is moved by hand or by levers by the user to find different objects in the eyepiece. Manual telescopes usually have a finder scope, red dot finder or laser finder to aid in finding objects in the eyepiece. They are unable to track objects, which can make them unsuitable for photography. Compared to GoTo telescopes, manual telescopes are much more economical as you are basically buying a very simple mount and an optical tube assembly (the telescope tube, or OTA). With GoTo you are adding electronics and control mechanisms to drive the scope, which can add heavily to the cost. A small GoTo telescope could cost the same as a lot larger manual Dobsonian telescope. Good GoTo telescopes make astrophotography very accessible and enjoyable, especially with the addition of cameras and other kits. As opposed to manual scopes, GoTos can be used for long exposure astrophotography. Be aware though, that much astrophotography is done with very expensive imaging equipment, but good results can be achieved with web cams and DSLR cameras. Manual telescopes are brilliant at helping you discover and learn the sky as you have to actually hunt or star hop for different objects. I once met a person who had been using a GoTo telescope heavily for a year, and at a star party I asked her to show some kids where a well known star was with my laser pointer, she didn’t know because she was used to her GoTo scope taking her to objects. If you want to add photography or imaging capabilities then I would definitely recommend a good quality GoTo scope or mount. You will get a smaller aperture compared to the manual scope for the same money, but the scope will track for astro-imaging and can also be used for visual observing. Be prepared to spend a lot more money, though. Consider how you want to use your telescope and the size of your budget. Avoid buying low end, cheap, budget, or what is known as “department store” telescopes to avoid disappointment. Save up a little longer and get a good telescope. Visit your local astronomy store or telescope distributor and before you buy ask an astronomer, they will be glad to help.